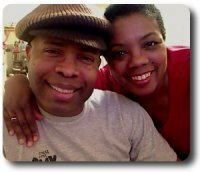 Here is a place to write your Letters to Montel concerning multiple sclerosis. Even though we don't know him personally, we still, to this day, get many letters to him with questions about MS, asking for advice, or just to thank him for being..., well, Montel. For some reason, visitors think that Cir is Mr. Williams. They're both handsome, of course, and Cir does have a bald head, like Montel. He also has MS, like Montel, and he is African American, like Montel, but that is where the resemblance ends. We have also said repeatedly that he (Cir), is not Montel, but almost every week we get a letter(s), thanking him, asking for his help, or advice about MS.
As far as we know, he has people who screen and vet requests, so if they do happen to read your letter, I'm sure they will research it's validity. So please keep this in mind when you write and don't take it personally if you don't get an answer. You would probably do better following him on Facebook, Twitter, or Instagram. For this reason, we have decided to add this page where you can write your letters about MS, ask questions about MS, or just thank him for...., being Montel. Use the form below to add your letter. He was an inspiration to so many when his show was on the air. His books and videos help many, even those without MS. If you have an emergency, please call 911 or seek immediate advice from someone you know personally who can help you decide on what action to take. Don't risk your life or that of a loved one, waiting for us or someone else to answer your post. Hopefully this page and the letters we write will get to him or someone who does know him personally. So, if you have a question about MS, by all means ask. Even if Montel doesn't answer, maybe someone else will have a suggestion or bit of advice that will help. We will answer your questions about multiple sclerosis as best we can based on our experience, as we have lived with it for over 30 years now. But please remember, we cannot get to Montel and we do not know him personally. We wish we did, however, we don't. You can read more about him on the following pages on our website and we've added a link to his page below, as well. Would You Like to Write a Letter to Montel Williams? 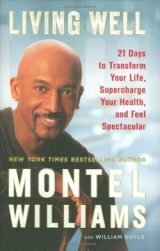 We have been writing pages about Montel Williams since we started Life in Spite of MS. For some reason, many of you think that we know him personally. Unfortunately we do not. We have decided to add this invitation so that you may write him here. Maybe, just maybe, someone who knows him will read it and let him know. Be as specific as you like. We will answer questions or make comments also, but hopefully the letters will get to Montel and maybe he will be able to help. If you would like to write him a thank you letter, that's great too. He has been a great help and inspiration to many just by sharing his experience with MS on his show and in his books. So if you'd like, take the time to thank him. I know he will appreciate it. Your letter or question will appear on a Web page exactly the way you enter it here. You can wrap a word in square brackets to make it appear bold. For example [my story] would show as my story on the Web page containing your story. I saw you on Fox News today and commend you for beings true American and sticking up for all vets. Go from Letters to Montel back to the Home Page.